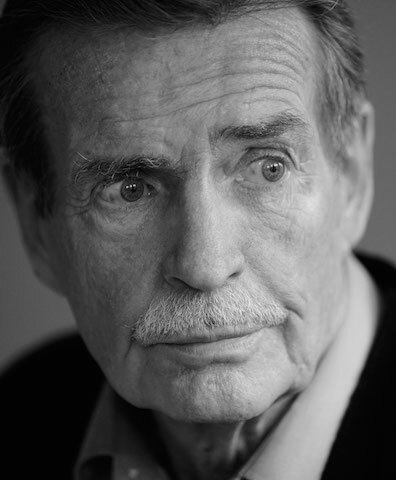 William McIlvanney (1936-2015) | Scots Whay Hae! It can be argued, and I would, that William McIlvanney was one of the most influential Scottish writers of recent times. This is partly down to his being ordained as the “Godfather of Tartan Noir” in recent years, (a title he didn’t particularly care for), but is mainly due to his tough, lean prose which gave a literary voice and identity to Glasgow and the West of Scotland at a time when it had next to none. It was an identity strong enough for people to come to believe that Glasgow was full of men who had the patter of his detective Laidlaw, and who could fight like Dan Scoular (The Big Man), not least Glaswegians themselves. But there were other aspects to that identity which came straight from McIlvanney himself. Strong, sure, fair and fiercely intelligent. Like his fellow Ayrshire writer, Robert Burns, he was charming, passionate and believed in the power of discourse to change the world. “With the recent success at home and abroad of Scottish writers such as Irvine Welsh, Iain Banks, Ali Smith, Ian Rankin, A.L Kennedy etc, it’s perhaps odd to think of a time when having Scottish novels post R.L. Stevenson in a Scottish house was the exception rather than the norm, at least with most of the people I knew growing up. In the ’70s and ’80s, if a family had only one Scottish writer on their shelves there was a good chance it would be William McIlvanney, and I’ll give you good odds it would be one of Laidlaw, The Big Man or Docherty. It would be wrong to think of McIlvanney’s writing as being confined to a time and place, or even genre. The Laidlaw trilogy certainly influenced Scottish crime fiction, but he was also a renowned journalist, poet, essayist and social commentator. Docherty, which won the Whitbread Novel prize, is one of the great European novels in the tradition of Dostoevsky, Orwell and Sartre – examining poverty, morality and the human condition through the hard life of miner, Tam Docherty as he fights for his family and his dignity. It’s an unforgettable book, rightly named as one of the Scottish public’s 10 Favourite Scottish novels of the last 50 years. If you were to read only one McIlvanney novel, I would suggest that one, although the best introduction to his work is his 1989 collection of short fiction, Walking Wounded. Recent recognition of McIlvanney’s work was as deserved as it was welcome. Canongate published his full back catalogue in 2013/14, and he once more made regular appearances at Scotland’s book festivals and events. A charismatic, generous and modest speaker,audiences and interviewers would hang on his every word. If you were lucky enough to be one of those you’ll know that an equal pleasure to reading McIlvanney was spending time in his company. Some people may believe that the perfect Scottish writer would be someone with the political sensibility of James Kelman married to the broad appeal of the Ia(i)ns, Rankin and Banks. In William McIlvanney, perhaps he was with us all along.